Dave doesn’t remember but in 2018 he spent two weeks at St Thomas’ Hospital following a suicide attempt. 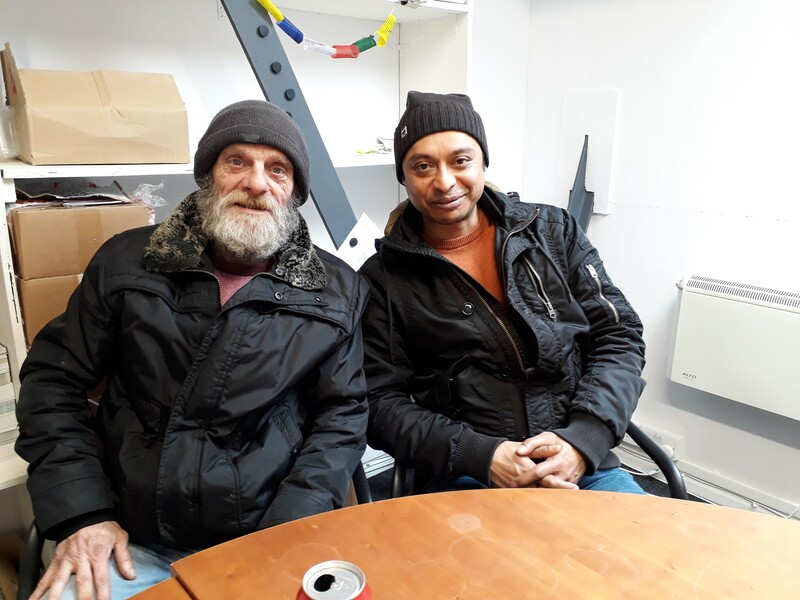 A year on the 56-year-old is living in a hostel and managing his own health with the support of Ala, one of Groundswell’s Case Worker’s. “to be honest I thought I was better off on the street – there was no rules but now I’ve got to face that, no one likes rules, but they do it”. With a stent in his heart and as a sufferer of COPD, Dave is required to have regular appointments to monitor his health. But it’s not as simple as just going, “it’s scary” Dave explains, “I don’t mind admitting that. But since Ala has been coming with me things are getting easier”. Dave credits Ala for giving him “confidence” in attending his appointments; trusting that he “stays there right to the end” is an important part of their relationship. Dave is clear that “if he disappeared then I’d disappear” – Ala is crucial to ensuring Dave follows through with his health appointments and gets the treatment he needs. Dave (left) with Ala, one of Groundswell’s Case Worker’s who he now classes as a friend.